Your business relies heavily on the function of your data center. This is where you house computer systems and their components. This is where you data storage system resides and often where your telecommunications and redundant data communications are. Security devices and environmental controls are often found here as well. Your business relies on your data center to function, and data center malfunction can have far-reaching results. With so much at stake, it is essential that your California data center design company be top notch. Architecture on the west coast can create some unique challenges for data center design. Humidity must be carefully controlled for. Due to the generally mild climates, insulation may not be as extensive, which is an important factor when trying to keep a data center cooled in an efficient manner. Older buildings may necessitate adaptations to standard data center design. All of these things must be carefully considered when creating a California data center design. Any data center design begets professional input. While a data center may seem a relatively simple concept, implementation can be complex. There are definitely configurations that allow for greater efficiency and less space. Professionals will be aware of the most cutting edge technologies and be able to create an agile and scalable data center that can grow with you business. A modern data center is much more than the sum of its parts. It is not just about components and installations. Professional data center designers can create and install a data center that will function properly, be energy efficient, and be resilient to both power failures and attempted security breaches. If your business in located on the west coast, California data center design experts can design your data center to function under the unique circumstances that your location may present. The structure in which your data center will reside can be built or adapted to any unique conditions that may be present. 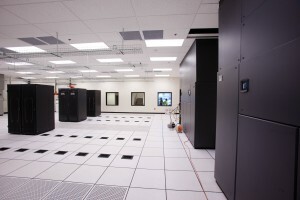 The best type of data center flooring must be carefully considered. Wood or aluminum flooring may be preferable based on the surrounding architecture. Energy efficiency is important to any data center design. California data center design necessitates extra care in this area due to varying insulation among various business architectures. Cooling a data center is essential to its proper function. You want to create energy efficient data center where minimal cooling is needed to keep components functioning properly. A data center with a high level of efficiency will protect you bottom line as well. Data center cooling costs can become expensive in a hurry. Having a California data center design that accounts for proper insulation and high-efficiently cooling can result in significant savings in energy costs. Some California architecture will necessitate unique security and power systems for data centers. Such detailed modifications are imperative, and may be overlooked by those not experienced in data center design. 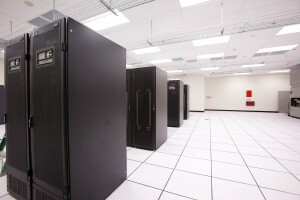 Certified engineers are able to design data centers according to unique specifications and to accommodate for unique architectural factors. In addition, they will assist you with installation and deployment of your data center in order to assure proper function. While data center design may seem fairly simplistic, quality data centers are the result of professional design. Investing in a certified engineer for data center design will ensure you data center is adapted to suit any unique architectural factors that may be present. This entry was posted in Data Center Design and tagged CA Data Center Design Company, California Data Center Design, data center design, Los Angeles Data Center Design. Bookmark the permalink.